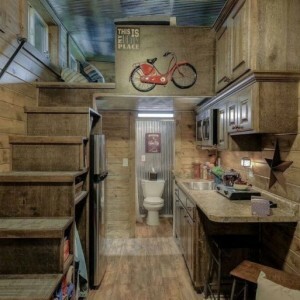 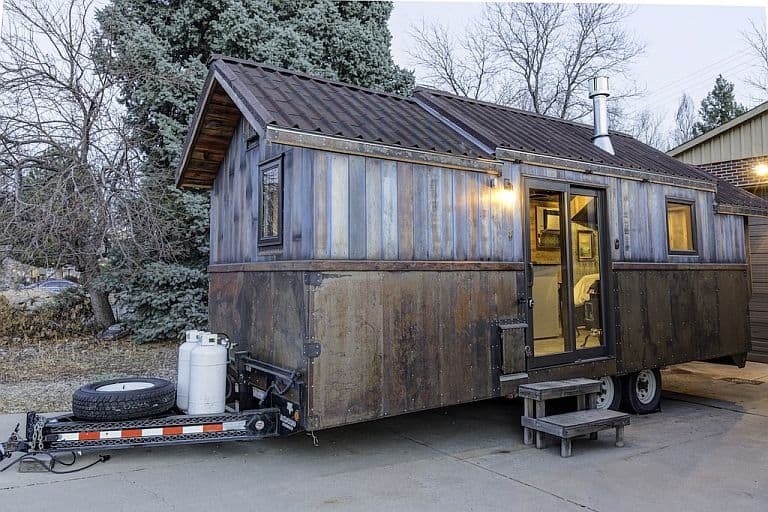 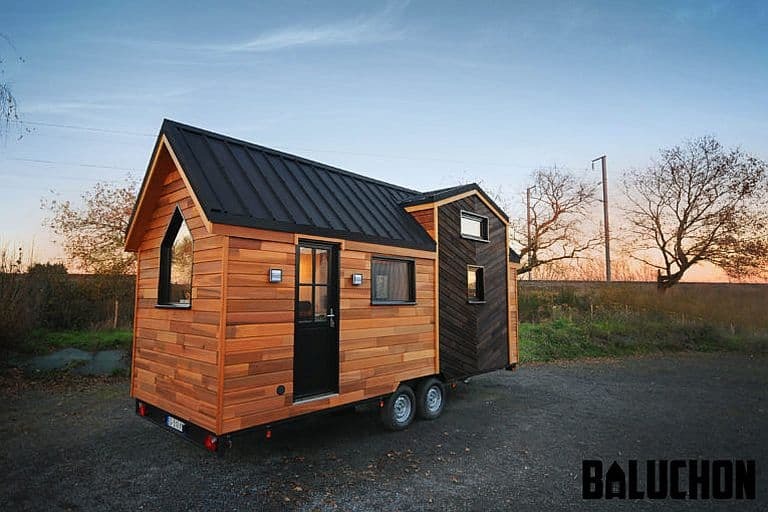 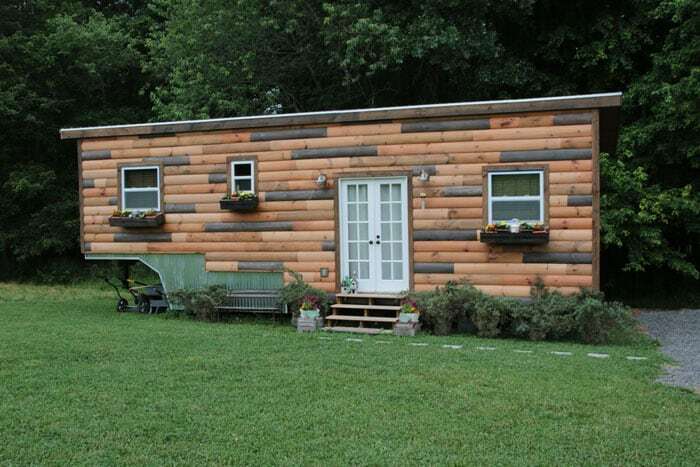 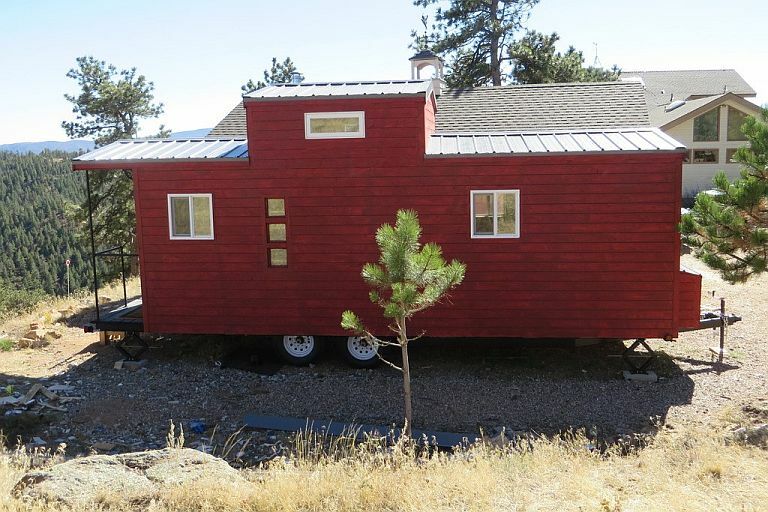 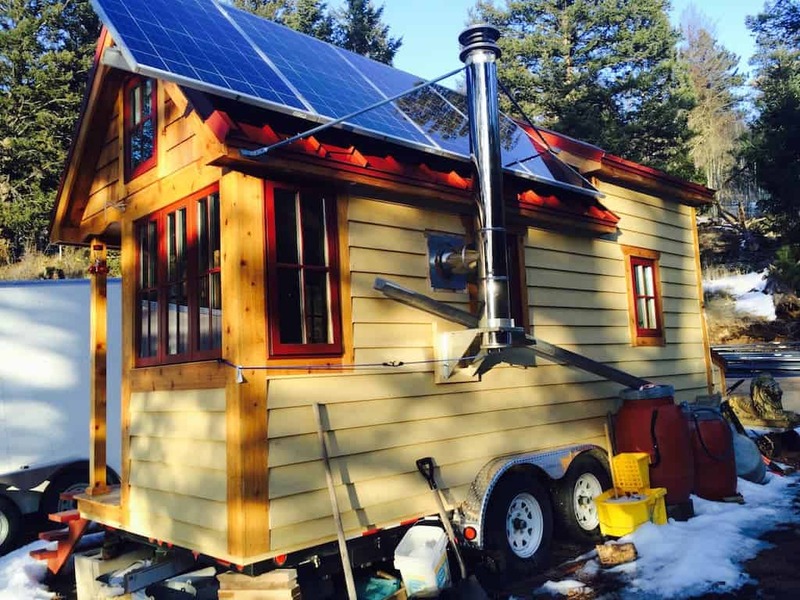 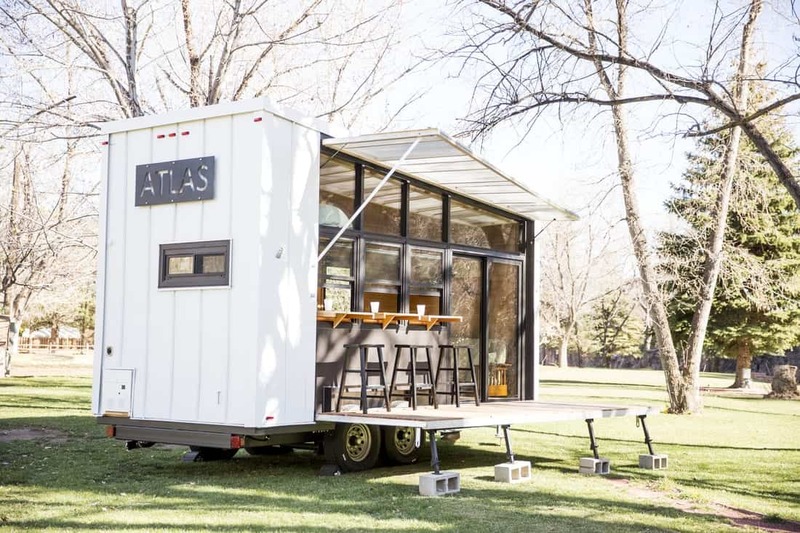 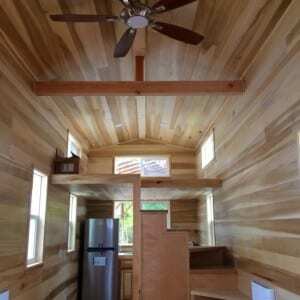 Usually when a tiny house on wheels looks a lot like something else, it’s more siding than substance. 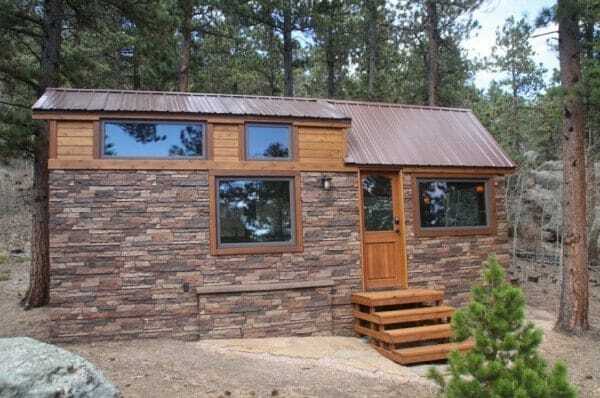 As much as we loved MitchCraft’s Southwestern-styled THOW and Wind River’s Nomad’s Nest, the former didn’t have any actual adobe and the log-cabin-themed latter was decidedly lacking in logs. 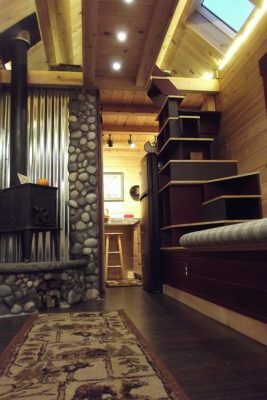 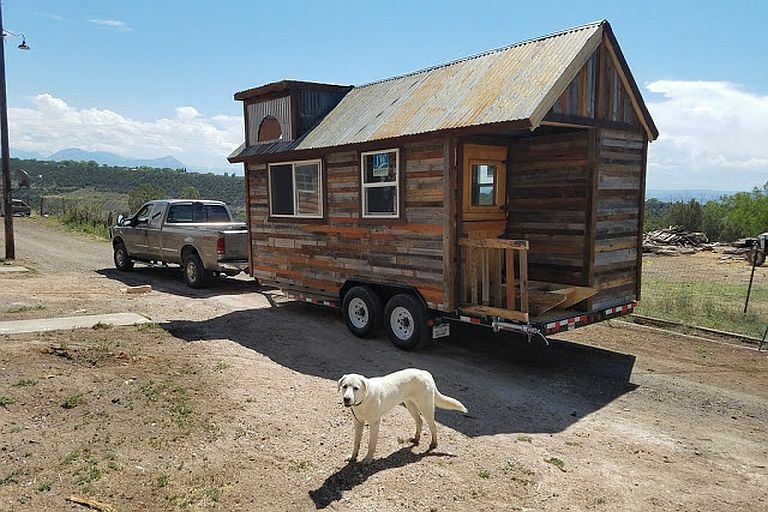 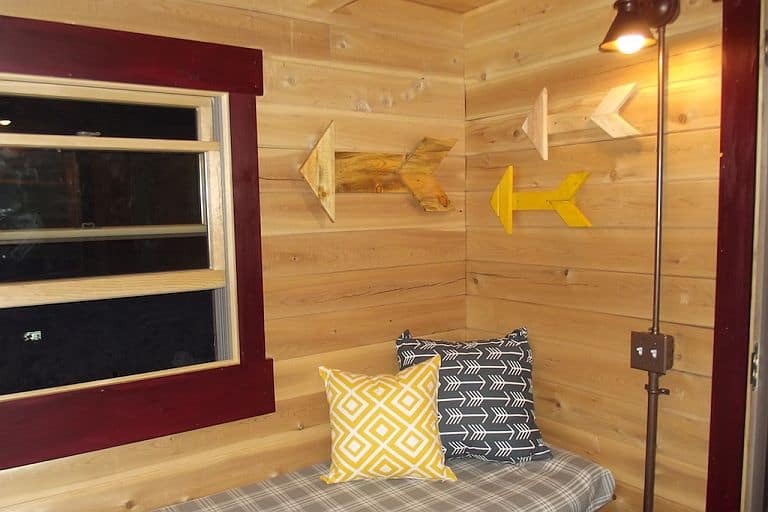 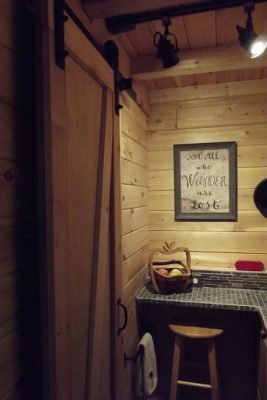 Not the case with this little house from Katahdin’s Colorado arm, though – it’s made with real cedar logs, and while they’re a bit bulky and must weigh a ton, they sure do look great, both in the walls and along the ceiling of the sleeping loft. 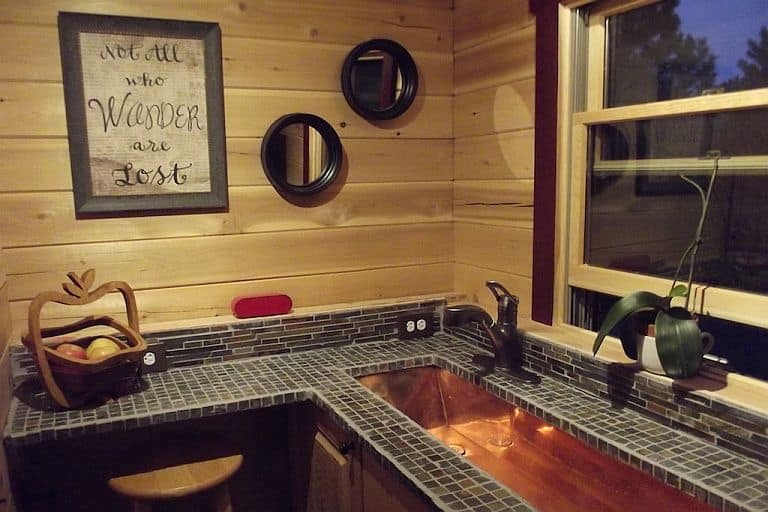 The interior’s nicely finished too, with mini-tiled kitchen counters and a nice stone and sheet metal throne for the woodstove. 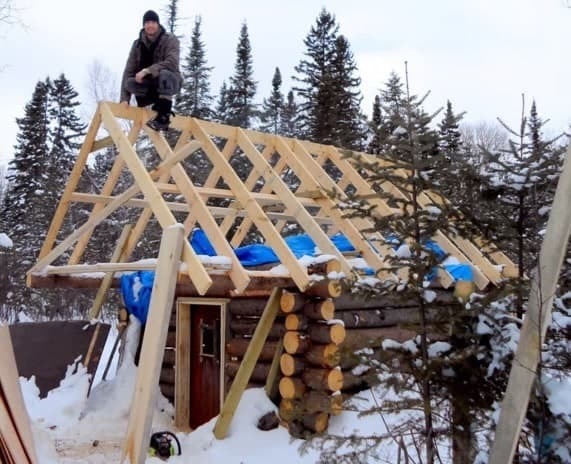 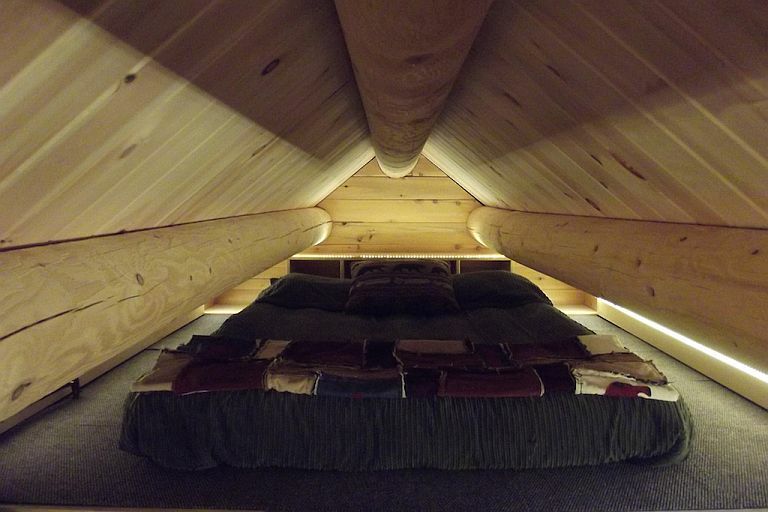 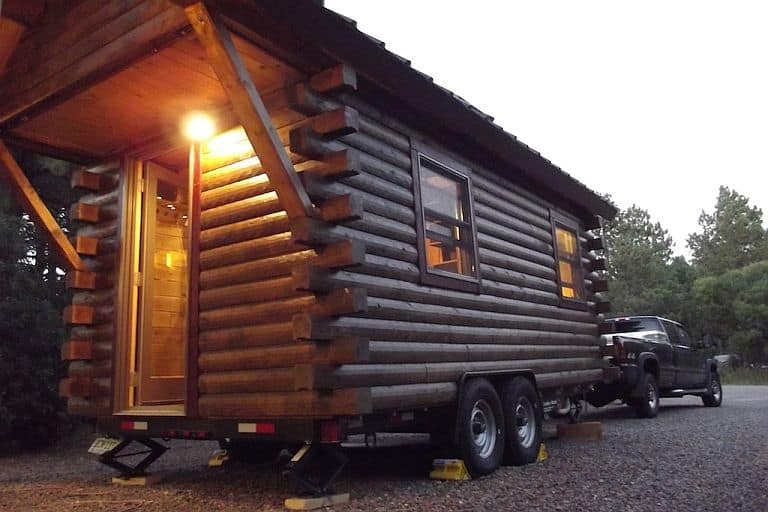 This is a one of a kind build for Katahdin, which ordinarily does much bigger log homes (not even cabin-sized), but they say it would sell for $59,900 as-is, with further customization a possibility. 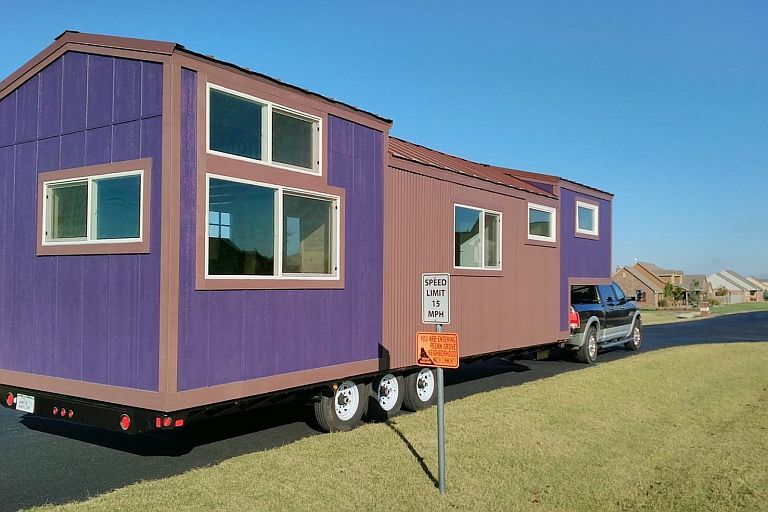 You can email them here for inquiries. SimBLISSity Unveils A Beautiful Tiny Stone Cottage…But At What Price?